I have always had an HTPC as my home theater’s centerpiece. The flexibility that an HTPC brings simply can’t be matched by the likes of WD TV Live, Apple TV, or any Roku. I have the ability to spin a disc, play my enormous library of music and movies, and watch live TV. The only thing that had been holding my HTPC back from being adopted as the primary solution by my fiancé was a keyboard and mouse. In order to rid my self of our cable box, I had to find a solution that anyone could use, including my technophobe fiancé. Having gone through various keyboard and mouse combinations, I finally settled on running things from an iPad. I figured this is a safe bet. After all, even my grandmother can use an iPad. 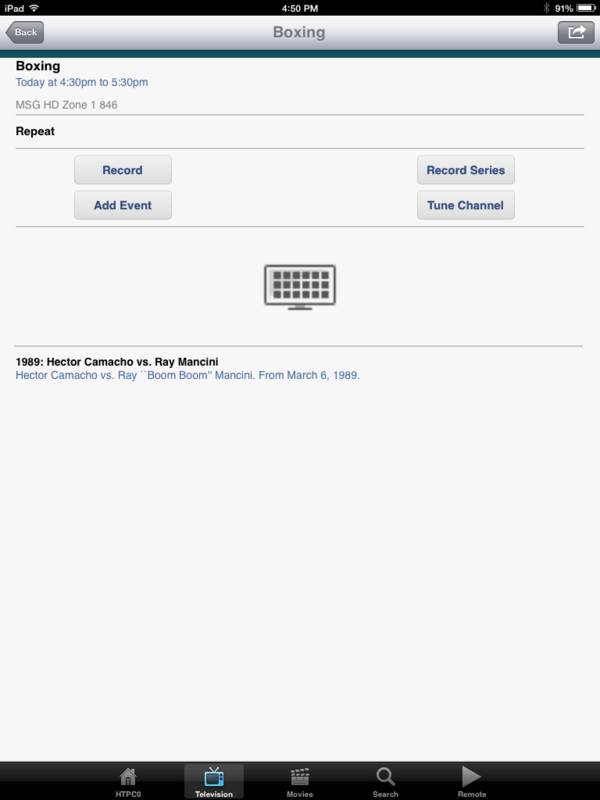 The search for the best way to control WMC from the iPad led me through applications like Logitech Touch Mouse and experimenting with various paid applications until I finally decided on my My Media Center by Ceton. 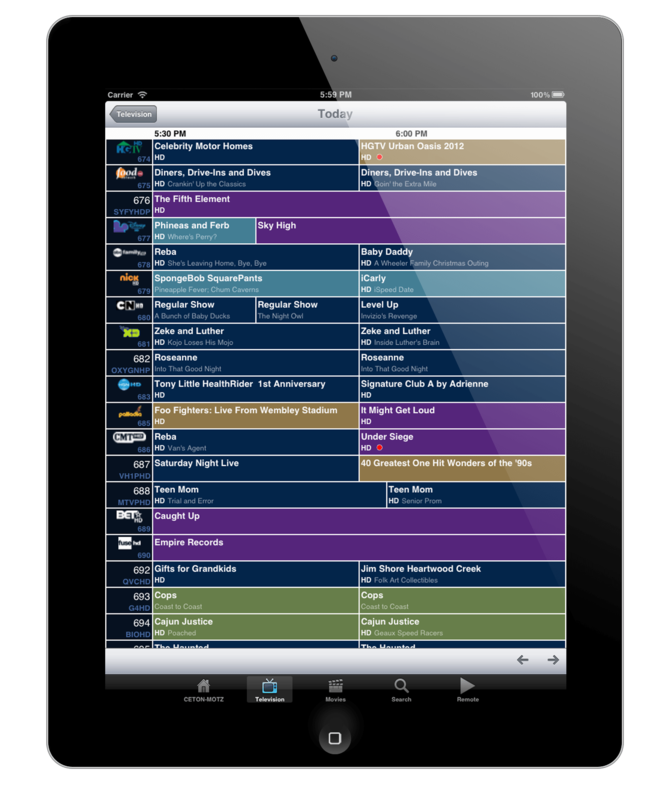 My Media Center is the only application I have found that allows me to control WMC with a remote, browse various recorded shows, peruse my movie collection, perform a search directly from my iPad, and… the best-selling feature, choose the show I want to watch on live TV by browsing a guide loaded directly on the iPad. 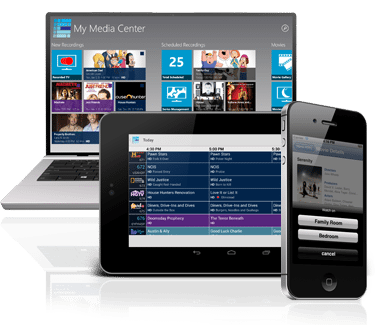 My Media Center (formerly Ceton Companion) is the ultimate Windows Media Center app for your Android, iOS, Windows 8, and Windows Phone devices. 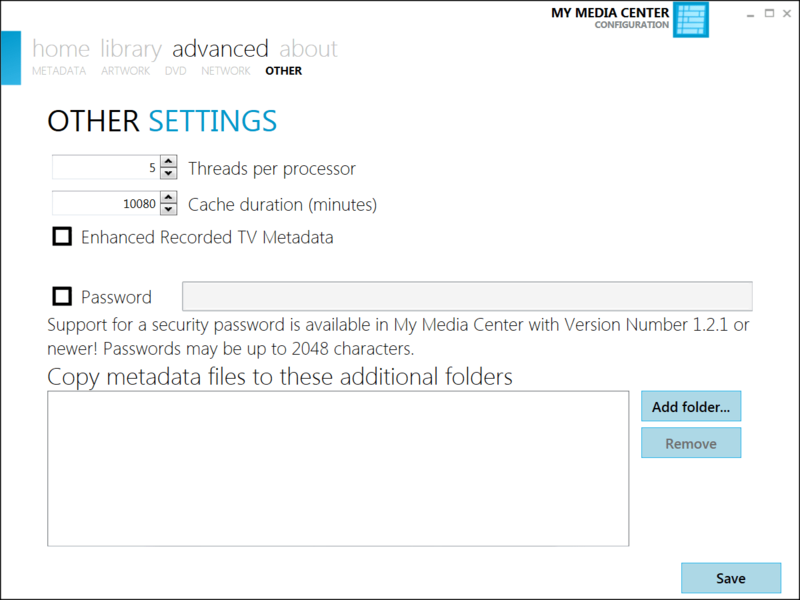 Easily manage and control your Windows Media Center PC whether you’re inside or outside your home! Manage your Live TV, Recorded Shows, Movies and DVR Series, along with a Full Remote Control and so much more … all at your fingertips! Please note that My Media Center does not support streaming TV to your mobile device. The installer is a series of Next clicks and a Finish. To configuring your media library for browsing through the iPad, the application can add all of your TV shows and movies to your device’s galleries. 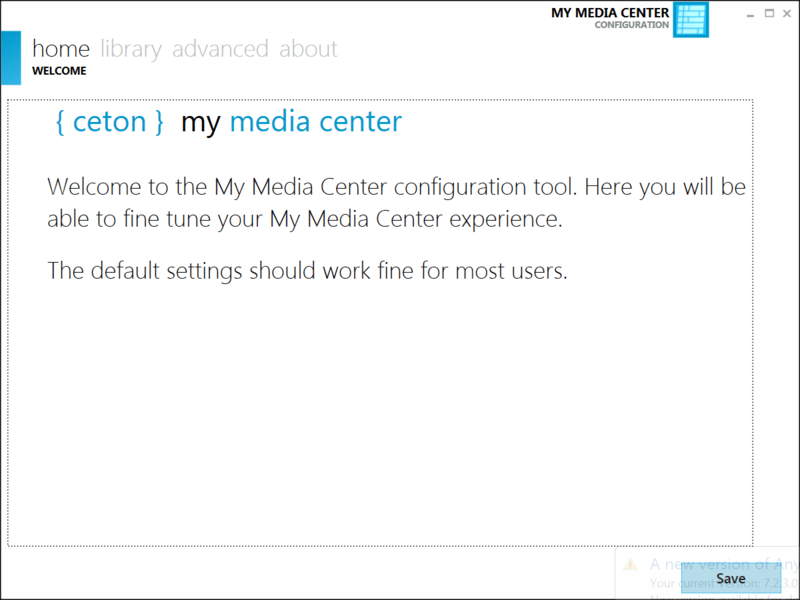 All you have to do is add the locations for your media to the library within the My Media Center application. The drawback here is that I have yet to configure the application to recognize MKV. Select Library, Select Movies, and Add the folder(s). For those that store the media elsewhere, the application allows you to store network credentials. The rest of the configuration is pretty straight forward and somewhat geared towards a more advanced configuration. 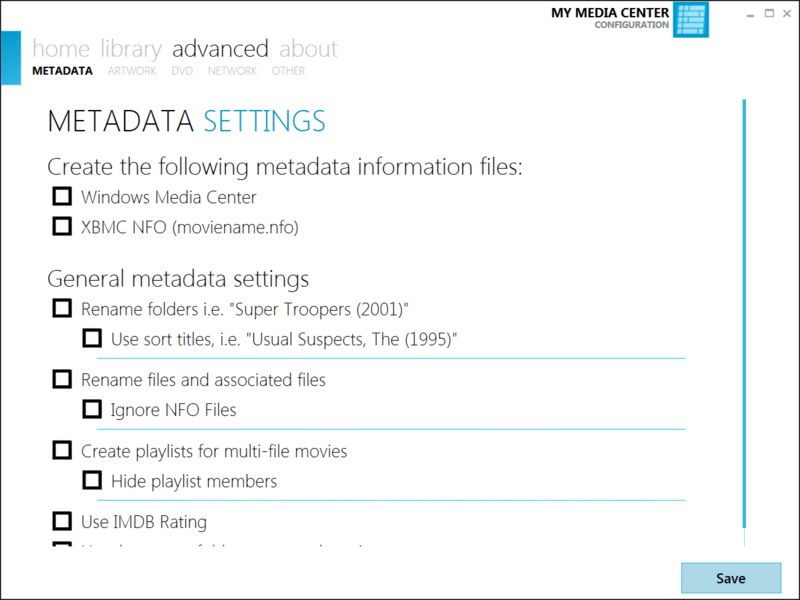 The application can help to manage your video library and download all the metadata information for Windows Media Center as well as XBMC. Additionally, the application can download all the artwork associated with the titles. I do not have the application configured for collecting meta data and artwork. Instead, I use Media Center Master. For the App on your iPad (or Android, Windows device), all you need to do is go the app store and buy it. If you don’t use the links below, you can search for Ceton. Once it is installed on your iPad; performing a simple network scan is all you need to do to get the two, your iPad and the Windows application, working together. If, in the event, you are unable to locate your HTPC from your iPad, you can manually enter the IP address to get you going. The application breaks things down into 5 primary tabs. 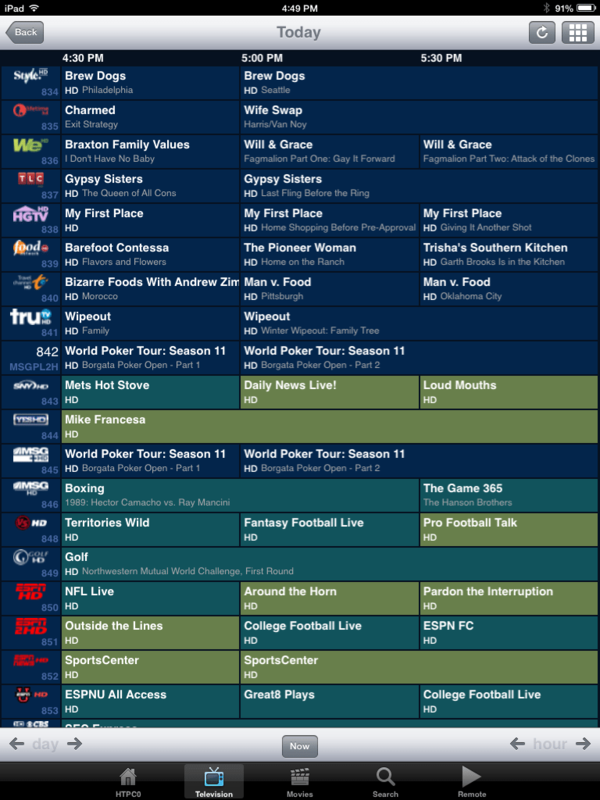 Television: You can view a gallery of recorded shows, show your TV Guide, list all the channels, show premieres, view your recorded television shows, schedule recordings, and manage your series. 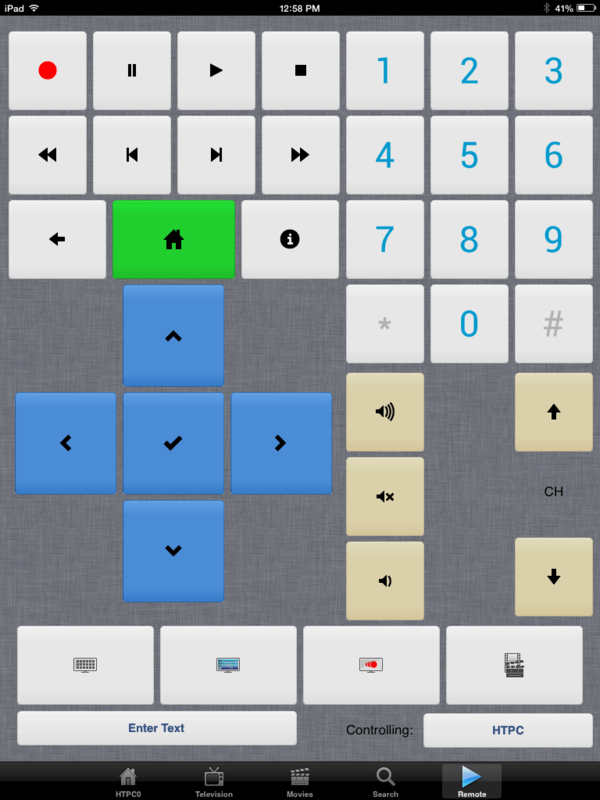 The remote control has arrow keys, a home button, various multimedia button, channel buttons, and a series of buttons along the bottom to execute commonly used WMC shortcuts. You can even enter text to move quickly through your library. The TV Guide is laid out the way you would expect it to be. You see things based on their time slot and color coded based on the type of show it is. You can scroll right to see shows that are coming up and when you click a title, information about the episode or title is presented to you. Furthermore, you can record the episode or the series from here, tune the channel, or schedule an event to remind you about an upcoming show. Bottom line, if you have an HTPC, or multiple HTPCs, and are looking for an easy way of controlling WMC without having to buy an iMON VFD, install a couple of applications and you are ready to go. My Media Center by Ceton makes things easy and at only $4.99, a no brainer. The application is easy to use and has relieved me the barrage of “I can’t figure out how to control this stupid computer”(s).